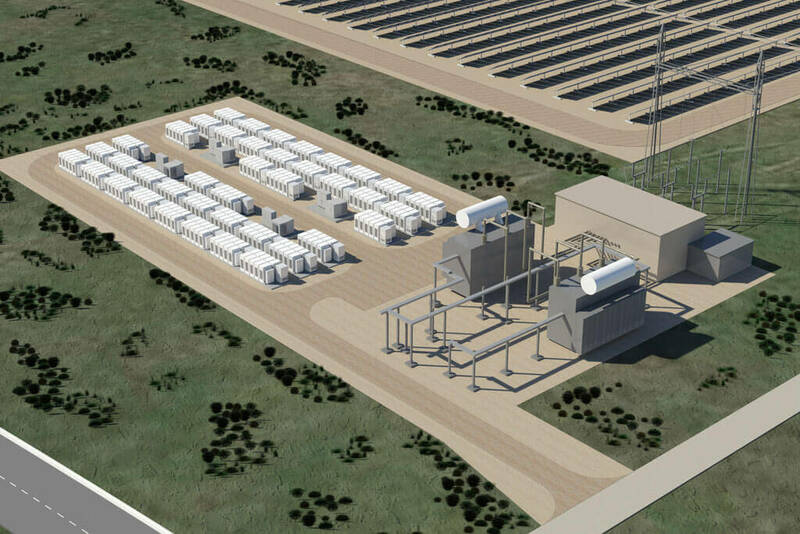 "Powerpack is a fully integrated, AC-connected energy storage system with everything needed to connect to a building or utility network. It dramatically simplifies installation, integration and future support, offering system-wide benefits that far outweigh those of standalone batteries". 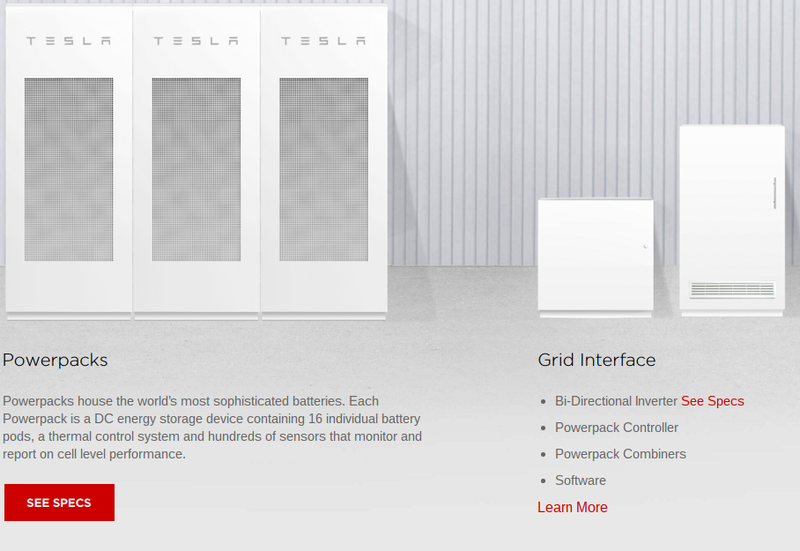 Starting this weekend, it is possible to order Tesla's Powerpacks, mainly for commercial use. 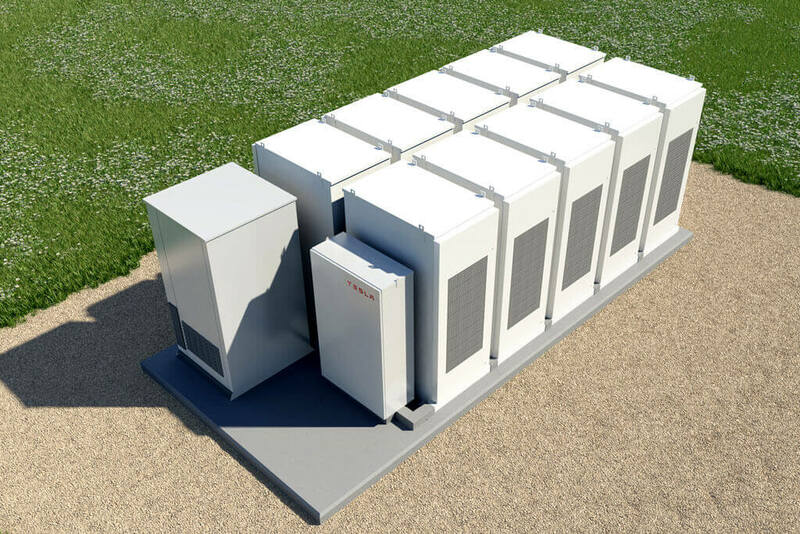 You can build your own system and even order online starting from 2 Powerpacks of 200kWh total at $47,000 and up to 54 Powerpacks of 5,400kWh for $3,217,000 including inverters and cabling & site support hardware. 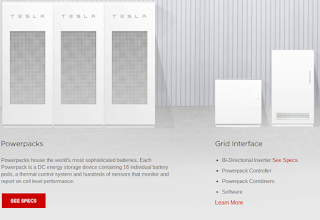 For orders above 54 Powerpacks, you'll have to contact Tesla for a quote. Ordering online requires a $1000 deposit. 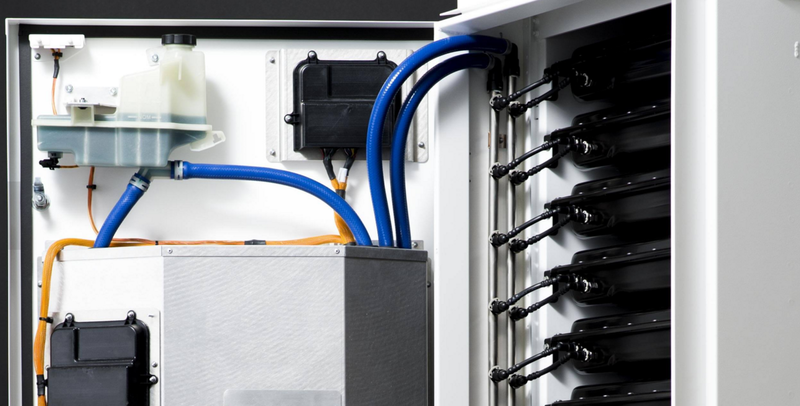 Every Powerpack contains 16 individual battery pods, each with an isolated DC-DC converter. Pod architecture and on-board power electronics optimize performance across the array and enable easy swapping. High volume and high reliability architecture tested over the one billion miles driven in Model S. Hundreds of embedded sensors, to insure better performance, safety and reliability. An internal liquid cooling and heating system to allow for pinpoint temperature control. A dual coolant and refrigerant loop system, more efficient than air cooling, adapted from Model S, to ensure maximum performance in all climates. Outdoor enclosure rated for all environments. No additional structures or covers required. System scales to the space, power and energy requirements of any site, from small commercial businesses to regional utilities. It can be configured in various arrangements. 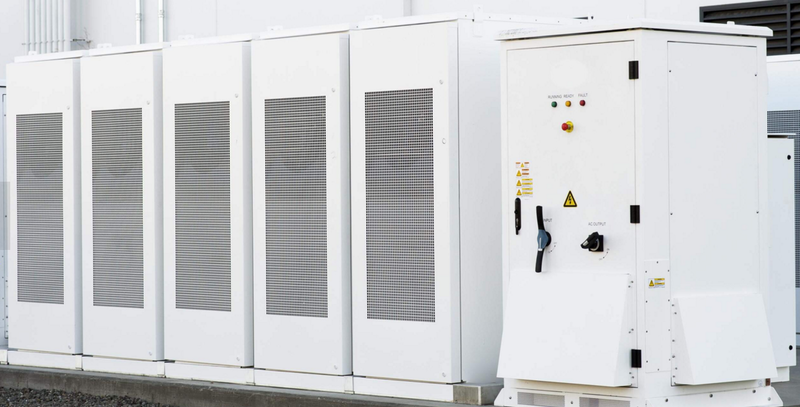 Bi-Directional Inverter: The inverter converts AC grid power to DC for Powerpack storage, then converts this DC power back to AC for grid interconnection. Powerpack Controller: This onsite computer interface creates control signals and relays commands to the inverter and DC combiner based on integrated application control software, or control signals relayed from a SCADA system. Powerpack Combiners: The combiners allow for multiple Powerpacks to be wired and controlled together. Software: Battery management software controls performance at the cell, pod and pack level. Built in control software enables dispatch from a locally hosted interface, a direct Modbus/DNP3 connection and scheduled or autonomous operation. No additional software or integration is necessary.